I have been taking and making pictures for over 25 years. Primarily ”focused” on sports photography, my camera occasionally accompanies me to the operating theater. 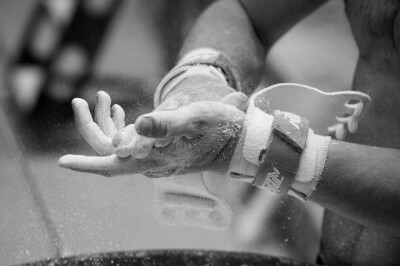 An Olympic athlete diligently prepares his hands for a routine on the “Rings.” This photograph was taken at the Olympic Training Center in Colorado Springs, CO, home to many Olympians and hopefuls throughout the year. The photograph was taken using a Nikon D700 DSLR and an 85mm f/1.4 lens using available light.